Product prices and availability are accurate as of 2019-04-17 17:56:10 UTC and are subject to change. Any price and availability information displayed on http://www.amazon.com/ at the time of purchase will apply to the purchase of this product. Wine has been described as a window into places, cultures and times. Geographers have studied wine since the time of the early Greeks and Romans, when viticulturalists realized that the same grape grown in different geographic regions produced wine with differing olfactory and taste characteristics. 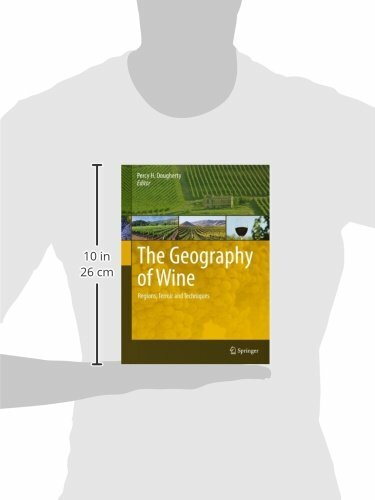 This book, based on research presented to the Wine Specialty Group of the Association of American Geographers, shows just how far the relationship has come since the time of Bacchus and Dionysus. Geographers have technical input into the wine industry, with exciting new research tackling subjects such as the impact of climate change on grape production, to the use of remote sensing and Geographical Information Systems for improving the quality of crops. This book explores the interdisciplinary connections and science behind world viticulture. Chapters cover a wide range of topics from the way in which landforms and soil affect wine production, to the climatic aberration of the Niagara wine industry, to the social and structural challenges in reshaping the South African wine industry after the fall of apartheid. 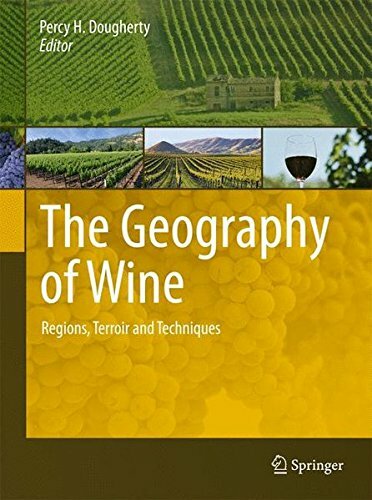 The fundamentals are detailed too, with a comparative analysis of Bordeaux and Burgundy, and chapters on the geography of wine and the meaning of the term ‘terroir’.